Come out and support two of our coaches at WCK Matter of Pride. 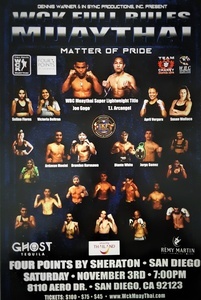 Coach Joe Gogo will going for the WBC Super Lightweight Title, and Coach Savannah Stark is having her WCK premier! We have $45 tickets available at the front desk until 11/1/18.